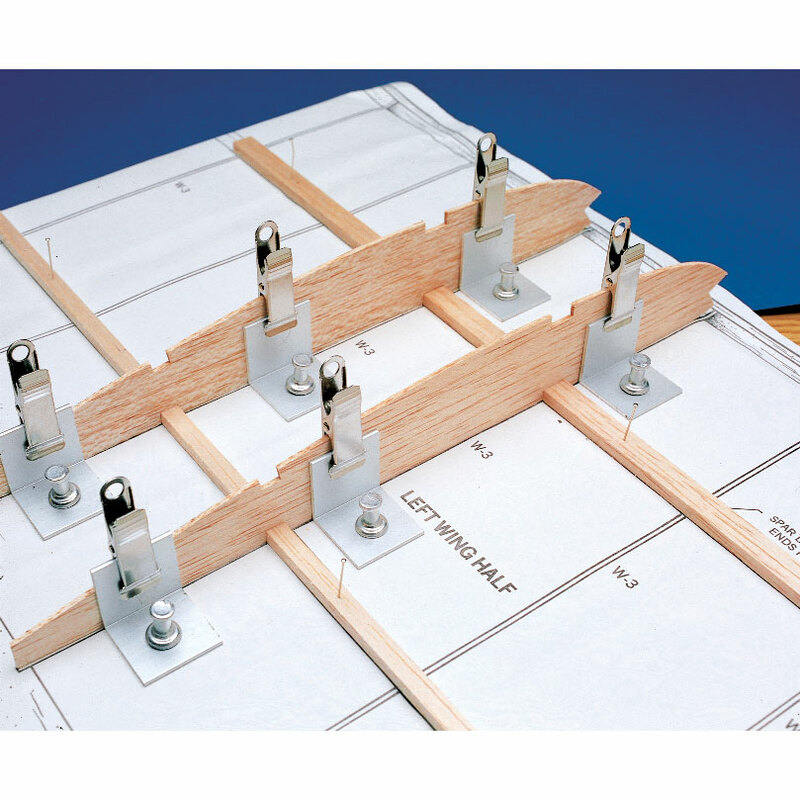 If you assemble models or miniatures over a building board you'll wonder how you got along without this unique tool. How it works: just position the 90 degree aluminum angle next to the item you want to hold. Then press the push pin through the hole in the angle and into the building board. Place the item against the vertical face of the angle and hold in place with the mini clamp. Designed specifically for holding wing ribs during model airplane wing assembly. They're also ideal for dollhouse furniture, ship model bulkheads and anytime you need to hold a part at 90 degrees over a building board. Set includes: Six 1 inch x 1 inch x 1 inch aluminum angles, six aluminum push pins and six stainless steel smooth jaw spring clamps.